Well, I caught the cold everyone’s been passing around, so I was miserable today. I’m not thrilled, this week is going to be busy and I’d prefer to be able to BREATHE. 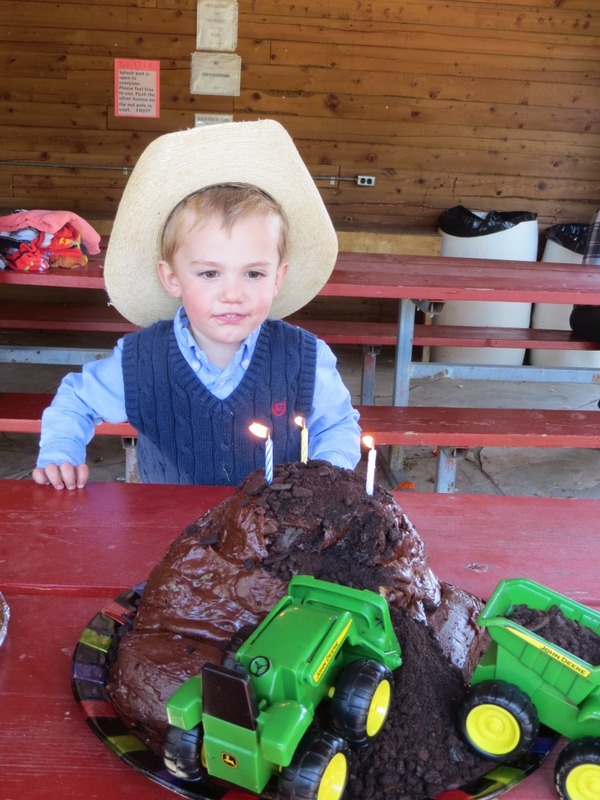 Nevertheless, it was a Big Day, as grandson #1 turned three! Those three years passed very fast! He had a great cake and a great time, and lots of people turned out! Believe it or not, it was warm enough at the end, the kids even ran through the splash pad for a bit. You’ll be happy to know, brand new tractors hold up to cold water. I gave him one of Brandon’s favorite toys that I had stashed away… one of those marble mazes you can build. Since the original box was destroyed, I made him a bag for the pieces. 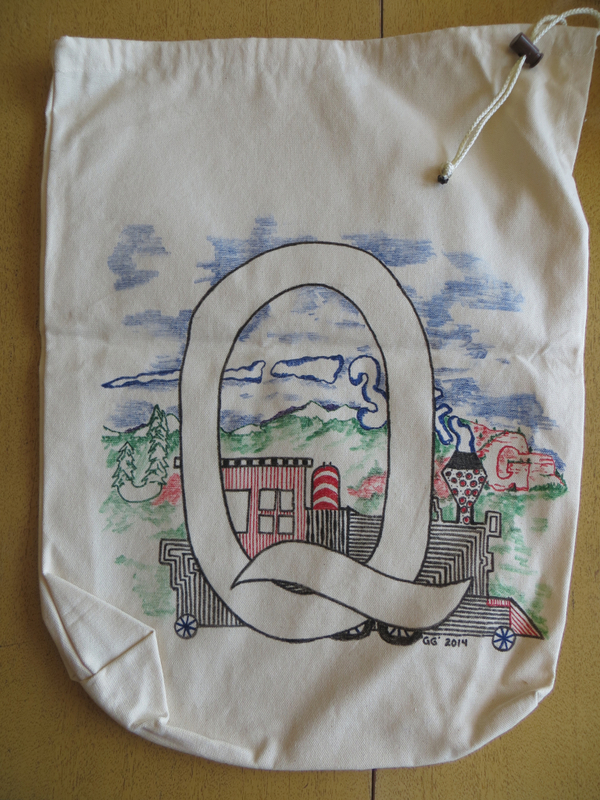 It has his initials, QJG, and 3 on it, plus a train, which is his favorite toy right now. I guess I’ll put off my bee/honey post, and my visit to Born in a Barn. If I feel better in the morning, I’ll be riding, taking those pretty fall photos I like so much, plus listening for the bugle of bull elk. I hate to miss that ride, I’m hoping my sinuses agree it’ll be a good thing to be higher in elevation! We’ll have to see what the morning brings! Still think her name should be Princess!! Your grandkids are so cute. Wow … just love your new pup. What a beauty she is. Can’t wait to hear her name! Okay, Whatshername’s marking on her side…. If like rabbits or Hallmarks Hoops & YoYo, the long brown spots with that white in the middle makes me think of rabbit ears from a rabbit that is hanging upside down. Her ‘tail’ area could be the rabbit’s nose…..
Jackie (aka Jack Rabbit) is what I’m going to nick name her for now! Happy Birthday Quinlin. That was a fast three years. Looks like dirt cake for a birthday cake. Perfect. Where is the splash pad? Looks like it was a happy birthday! 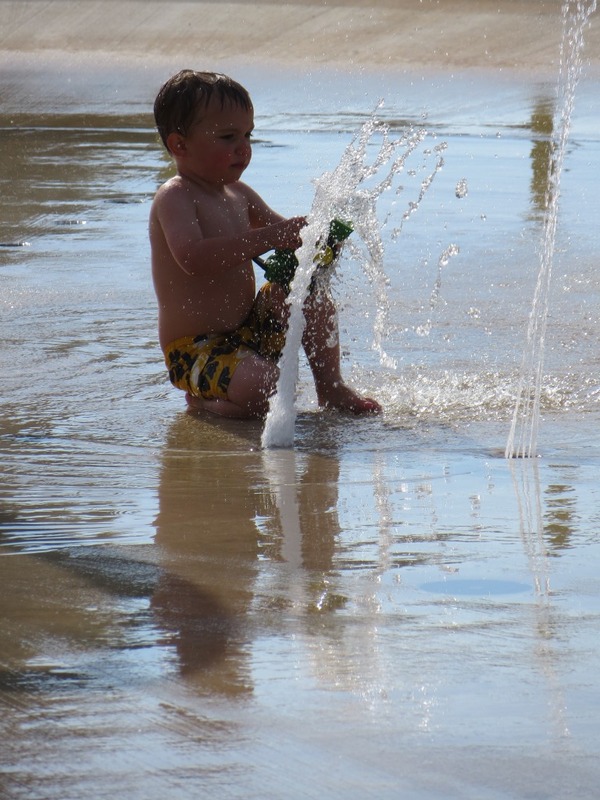 Snow last week, and splash pad today? Wow. 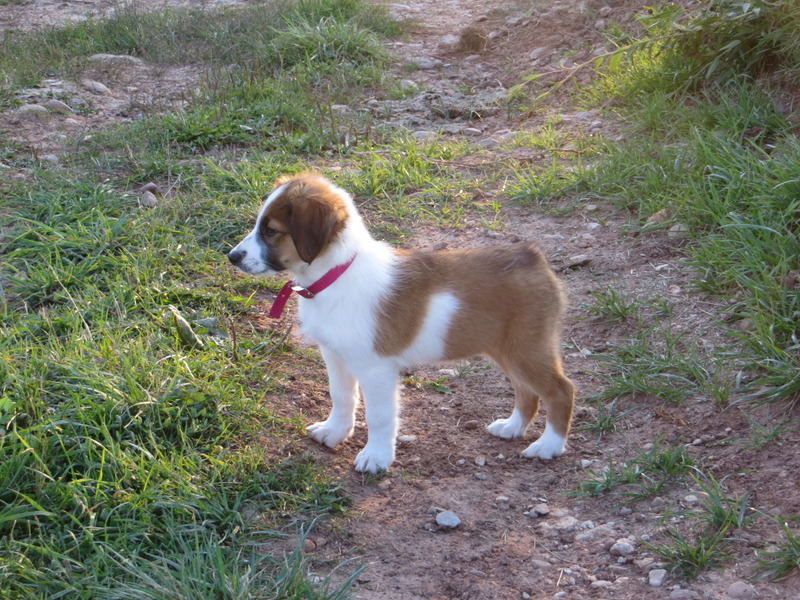 And the pupster is adorable too! Aren’t grandkids the best reward in life? And Whatshername is definitely cute! Maybe her name should be WHN (as in WhatsHerName) prounounced Whin! day for Quinlan’s birthday. I second all the comments about cute. Family, friends, babies and puppies, nothing can make smiles better. You made my day. Seeing the cute child and the cute puppy, the cake and the toys. Hope you feel better today and can go riding. Blondie is still adorable! I hope you feel better fast!